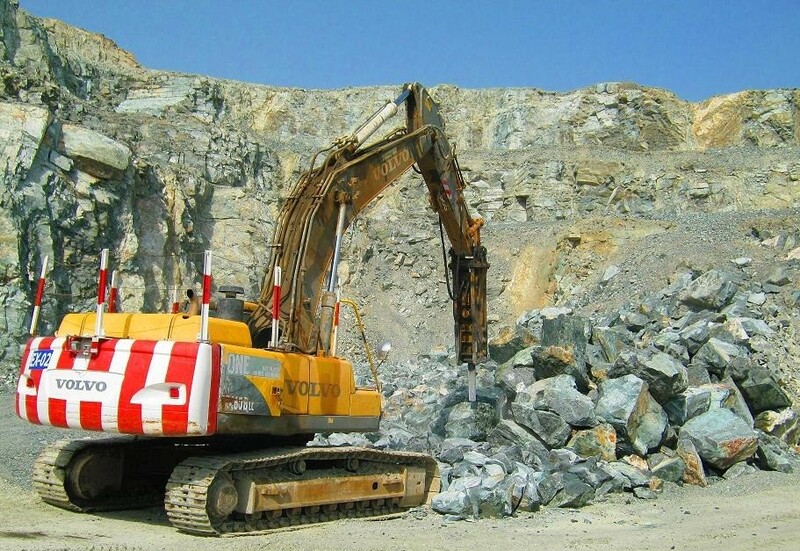 FINE Hydraulic Rock Breakers are high-quality products completely designed, manufactured and assembled in South Korea. Matched to this is the strong focus on the FINE brand, its reputation and after sales support in the UAE, provided by PROFEN GENERAL TRADING, FINE’s sole authorized dealer.  The PRO-FINE partnership aims at offering reliable products at reasonable prices, low maintenance cost, high availability & profitability and unmatched after sales service and spares support. FINE products in the UAE, bridge the gap between high price - high maintenance cost products and low price - no service products. FINE BREAKERS… CONVEYING GRAND DREAMS... SHARING GREAT HOPES. FEEL ENGINEERING KOREA, has been designing and manufacturing quality hydraulic attachments since the year 2000. After exporting FINE products to 40 countries worldwide, the company’s CEO, Mr. James Park, entered into a exclusive dealership agreement with PROFEN GENERAL TRADING in the summer of 2006. 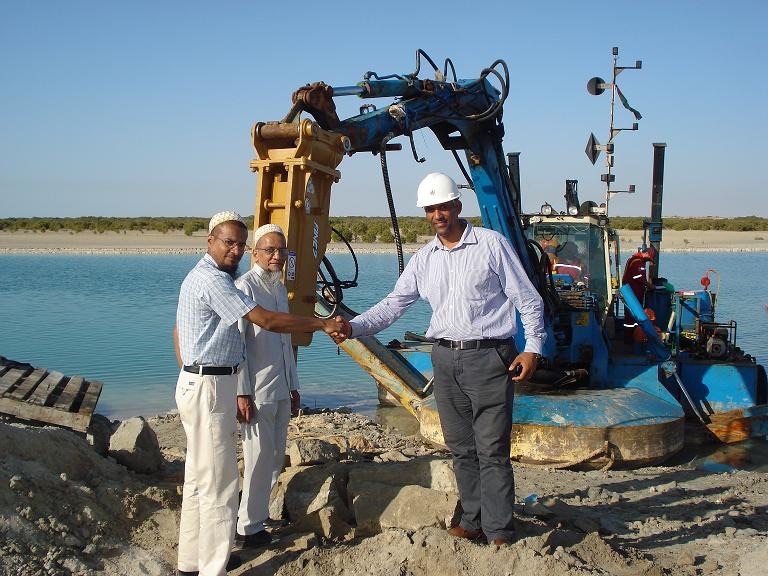 With humble beginnings in those days, FINE breakers today, are very well-known and reputed in the quarrying & crushing industry in Fujairah and Ras Al Khaimah. 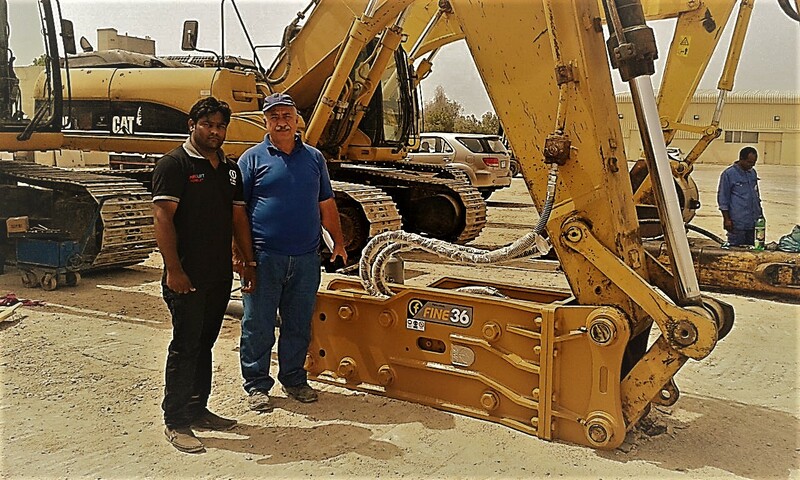 They are equally popular with both contractors and rental companies in the demolition, building construction and road construction industry of Dubai, Abu Dhabi and Northern Emirates. FINE has carved a niche for itself as the highest value for money product in the rock breaker market. A perfect blend of high power, low maintenance cost, high output & reliability, high profitability and optimum investment. 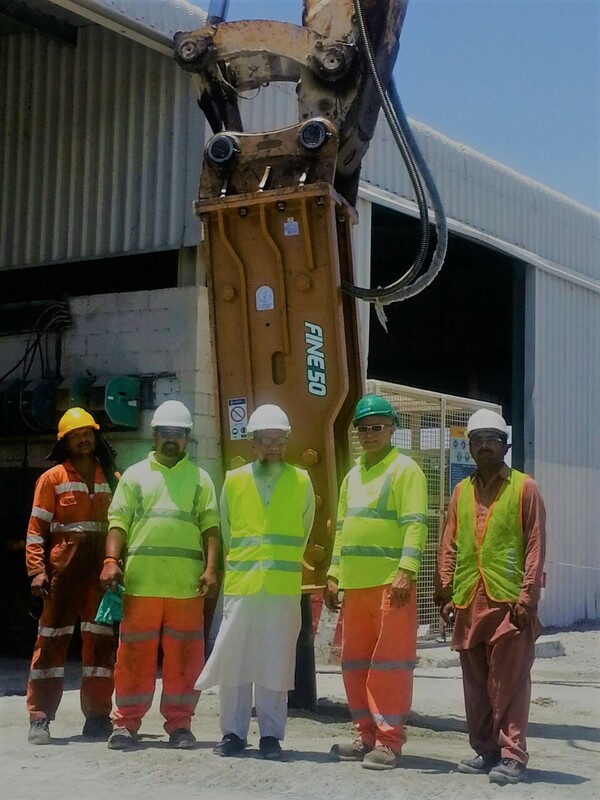 FINE breakers have proven their mettle in extremely high demand applications like underwater breaking, primary and secondary gabbro rock breaking and extreme reinforced concrete demolition jobs. 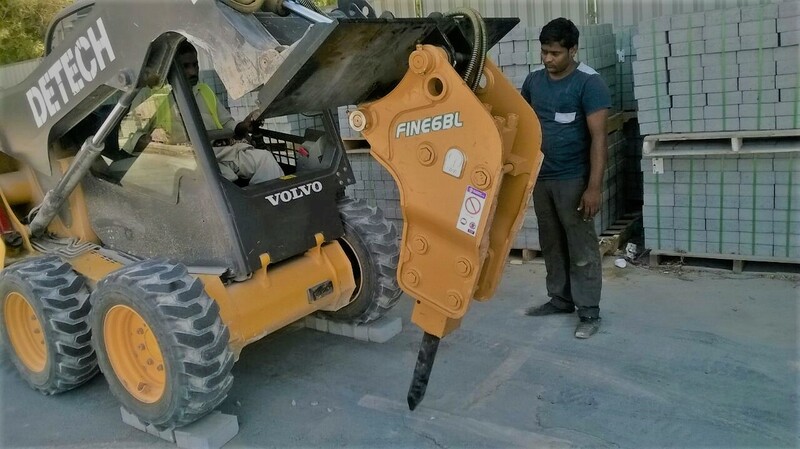 It is no wonder that FINE breakers is also the choice of dealers of reputed brands like Volvo, CAT, Komatsu and JCB, for installation on their machines, to give the best match of quality and economy.